Enriched by our vast industrial experience in this business, we are involved in offering an enormous quality range of Men's Leather Belt. We have carved a niche amongst the most trusted names in this business, engaged in offering comprehensive range of Jeans Leather Belt. We are engaged in presenting an extensive array of Leather Waist Belts. 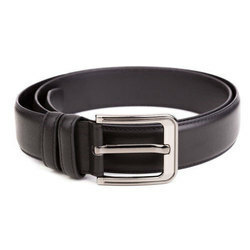 The Leather Waist Belts we offer is made by using pure leather and thus known for their fine sheen and supreme quality. Moreover, offered products are known for their sturdiness. Buckle is made with Stainless steel (SS). We emboss or etch emblem, color as per your design. Inside of belt will be nylon twine and outside will be cotton yarn. Sha Mithalal Sumermal & Co. Matching up with the requirements of our clients, we are into providing an optimum quality range of Leather Belt to our customers. 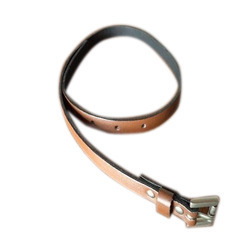 This Leather Belt is made in accordance with set market quality standards and norms. In addition, these products are available as per the precise needs and requirements of our clients.